St. Joseph Catholic Church stands Friday, August 9, 2013 at the intersection of Center Road and Blue Water Road on Old Mission Peninsula. 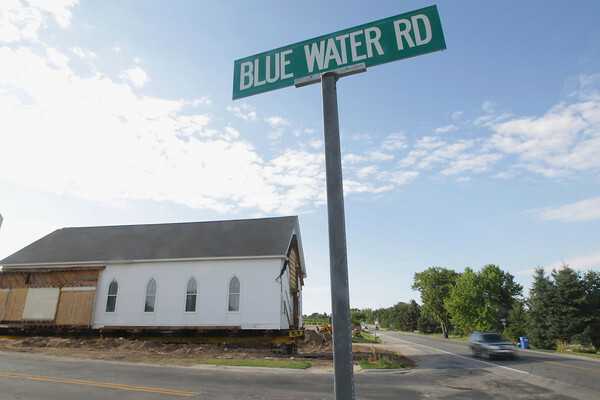 Preparations have been made for the church to be moved to a location adjacent to the church's cemetery on Center Road. The move of the church is scheduled for Tuesday morning.